232 pages | 16 Color Illus. | 26 B/W Illus. This book bridges the gap between life sciences and physical sciences by providing several perspectives on cellular and molecular mechanics on a fundamental level. It begins with a general introduction to the scales and terms that are used in the field of cellular and molecular biomechanics and then moves from the molecular scale to the tissue scale. 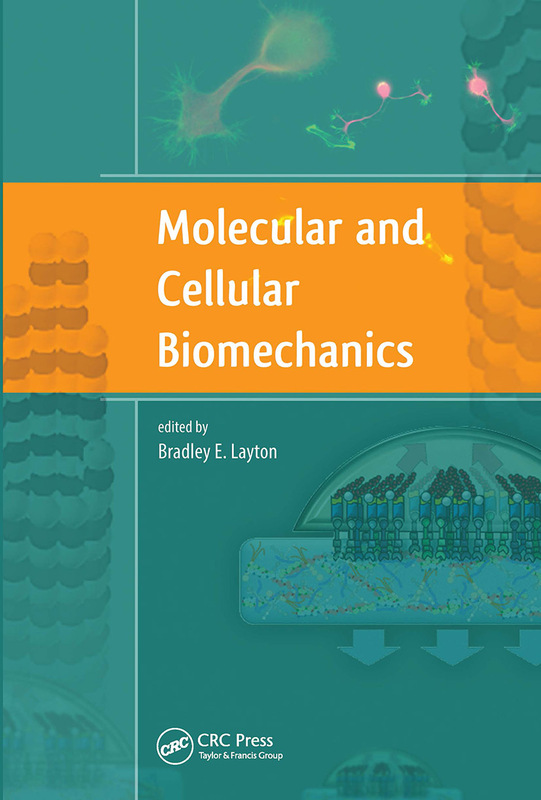 It discusses various tissues or cellular systems through the chapters written by prominent engineers and physicists working in various fields of biomechanics. "Big picture" items, such as the number of atoms in cells and the number of cells in an organism, are discussed, followed by several of the physical laws that play a central role in nanoscale biomechanics, including the mechanics of the nucleus and its associated molecules. The book provides several case studies in atomic force microscopy and examines the physical relationship between living cells and laboratory substrata. It delves deeply into the molecular mechanisms of axonal growth, transport, and repair and provides a mechanistic framework for understanding the underlying molecular conditions that contribute to heart disease. While the quantitative and straightforward language of the book will help the engineering community grasp the concepts better and utilize them effectively, the questions given in each chapter will encourage upper-level undergraduate students, graduate students, or those generally interested in understanding cellular and molecular mechanics to dig deeper into the material. The complimentary solutions manual is available for qualified instructors upon request. Macromolecules, small molecules, and machines: How are they alike? How do they differ? Two ways to model a chemomechanical transition: macromechanical view versus statistical mechanics view – when do they apply? Bradley E. Layton is associate professor in the Applied Computing and Engineering Technology Department and an affiliated faculty in the Biophysics and Biochemistry Program at the University of Montana, USA. He earned his PhD in biomedical engineering and MS in mechanical engineering at the University of Michigan, USA. He also holds an SB in mechanical engineering from the Massachusetts Institute of Technology, USA, and a Professional Engineer’s license. Prof. Layton is an editor for the Institute of Electrical Engineering and Electronics and Engineering in Medicine and Biology Society, and a member of the American Society of Mechanical Engineering and the Order of the Engineer. He is an avid bicycle builder, cyclist, kayaker, and a former member of the United States National Rowing Team. He lives with his wife and two children in the Rattlesnake Valley in Missoula, Montana.